Moving out can be an exciting but stressful time. Even after the actual moving part is over, there can sometimes be problems. One common problem is the landlord’s failure to send back the security deposit. When you’ve done all that was required as far as cleaning, shampooing carpets, scrubbing surfaces and removing all personal items…you expect to receive that security deposit. What happens if your landlord doesn’t send it? The security deposit is given to the landlord during the move-in and leasing process. It’s typically used to cover unpaid rent, replace broken items within the rental property and repair any damages. How Do You Get the Security Deposit Back? First things first, sit down with your lease to make sure that you are properly meeting all of the terms and conditions before moving out. All property that was in the apartment when you arrived, like light fixtures and appliances, must remain. The property should be in good physical condition. Anything classified as wear and tear won’t be charged for, but wear and tear can be a broad designation depending on your landlord. Make sure that you give sufficient notice, according to the terms in your lease, for moving out to avoid additional fees or losing a portion of your security deposit. If your lease was over one year, you are entitled to interest on the security deposit, which your landlord should keep in a separate bank account without any co-mingling of funds. What if There Are Damages? If there are damages in your apartment, make sure that you ask for an itemized list so that you know what you’ll be paying for. Damages do not typically exceed the actual cost of repair, even on items that are pricey to replace like carpet. Typically, a deposit is returned in full or returned with a list of itemized deductions. The state of Maryland requires all landlords to return the security deposit within 45 days of the move out date. Always leave a forwarding address with your landlord so that he or she has somewhere to send the security deposit, as all that’s needed is to mail the check to the last known address (which might not be where you’re headed). I Never Got My Deposit! 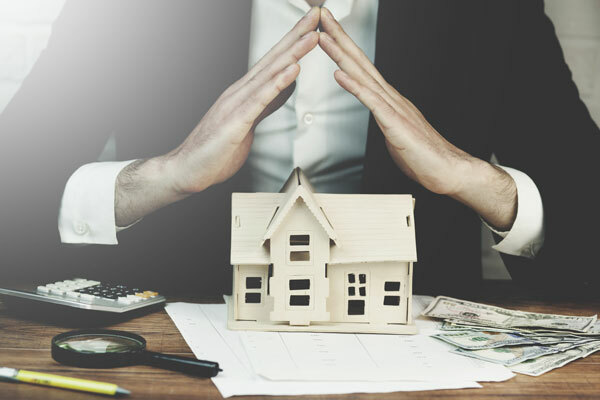 If it has been over 45 days, Maryland law allows for you to deny repair costs, damages, or deductions other than unpaid rent, including damages up to three times the amount of any unpaid rent and attorney’s fees. If you are struggling with retrieving your security deposit, Lebovitz Law is here to help. Contact us today at (410) 828-0680.